Oct. 20, 2016 Good afternoon, CF Team, We received another accolade this month. 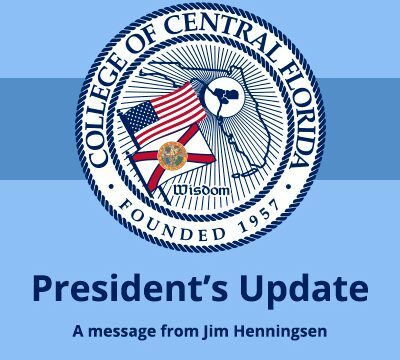 OnlineColleges.com ranked CF 10th out of 112 Florida peer institutions for Best Online College. The organization ranked more than 2,500 accredited colleges and universities in the U.S. on a variety of factors, including affordability, student services and the availability of online programs.